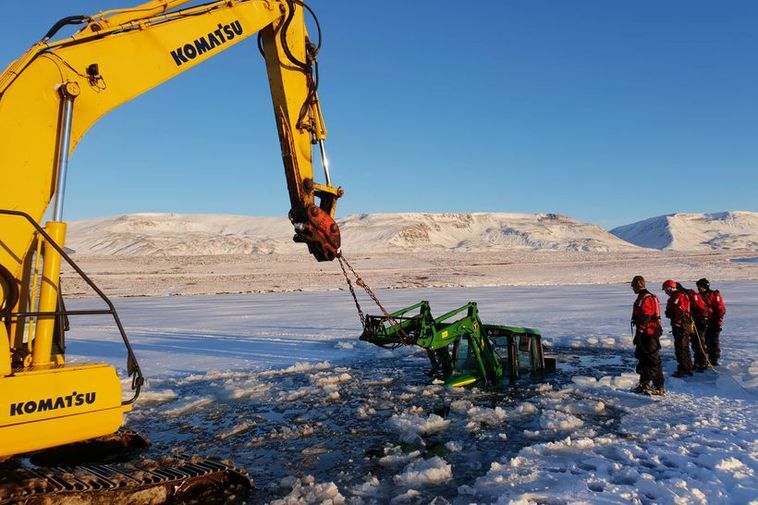 "Nothing happened other than the fact that the ice simply wasn't solid in that part of the lake. It's not complicated," says farmer Páll Þórðarson at Laxárvatn lake in Sauðanes in Húnavatnshreppur, North West Iceland. He managed to get out of the tractor and rescue teams got his tractor out later that day. Þórðarson is now waiting to see if his insuranceds will cover the cost of the engine.